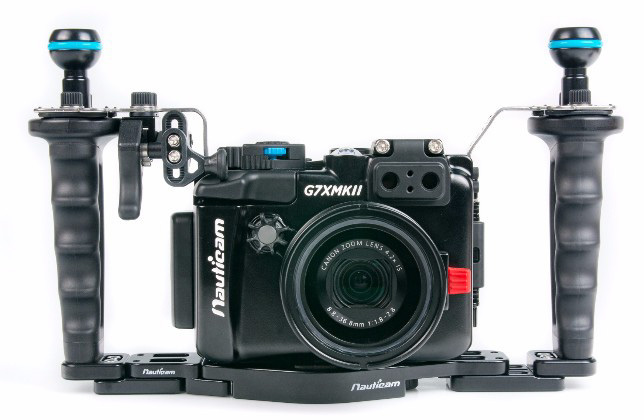 Nauticam just released their housing for one of the most anticipated compact cameras, the Canon G7 X Mk II. The Canon G7 X Mark II is a very powerful camera in a compact body. The new mark II incorporates the same sensor and lens from its predicessor but is now using the new Canon image processor, DIGIC 7, which supports improvements to its performace. Canon G7X Mark II has a faster start up, better autofocus tracking, enhanced image stabilization, longer battery life and faster continuous shooting. The G7 X Mark 2 also records 14-bit RAW files instead of 12-bit like the G7X, which only mean that it more room and data for post processing. 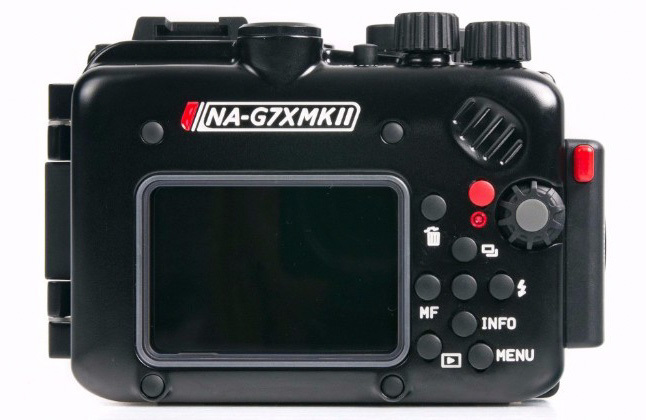 The Nauticam NA-G7XMkII housing will bring the full power of the G7X Mk II to divers' fingertips. Below is the press release with full info. Nauticam NA-G7XMKII, Model Number 17324. Available Now! 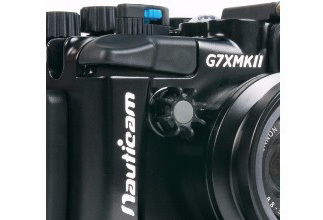 Nauticam is pleased to unveil NA-G7XMKII, the premier underwater housing available for Canon G7X Mark II. G7X Mark II camera stands out from a crowded class of advanced compact cameras thanks to its overall image quality, snappy autofocus, excellent manual white balance, and useful built in macro mode. 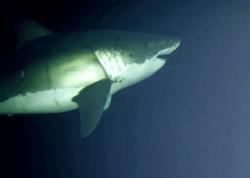 This impressive feature set, paired with the most ergonomic, rugged, and easy to use underwater housing available forms a perfect underwater imaging combination. G7X Mark II is the latest large sensor "Powershot" compact camera using the popular 1" sensor size. This 20 megapixel Back Side Illuminated (BSI) CMOS sensor is paired with a best in class, fast 24-100m zoom lens. 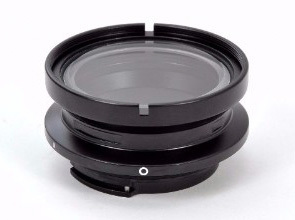 This lens is extremely fast for a compact camera, with a maximum aperture of f/1.8 at wide angle, and f/2.8 at telephoto. A new processor offers performance improvements across the specification range, most notably in continuous RAW shooting speed (increased from 1 fps to 8!). Numerous tweaks to the control layout, body form factor, and control interface have taken an already very good compact to the next level. NA-G7XMKII is the latest iteration in a lineup of advanced housings for very capable compact cameras supported by Nauticam. 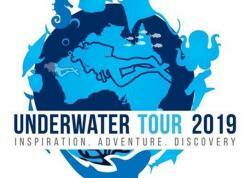 Many features found on professional DSLR systems have been integrated into this system, and the result is an underwater housing that allows the user to harness the full potential of this advanced compact camera in water. The basic functions and ergonomic enhancements that Nauticam users have grown to know and love are incorporated in NA-G7XMKII. The housing is machined from a solid block of aluminum, then hard anodized to seal out corrosive salt water. It is closed via a simple, yet secure locking rotary latch. 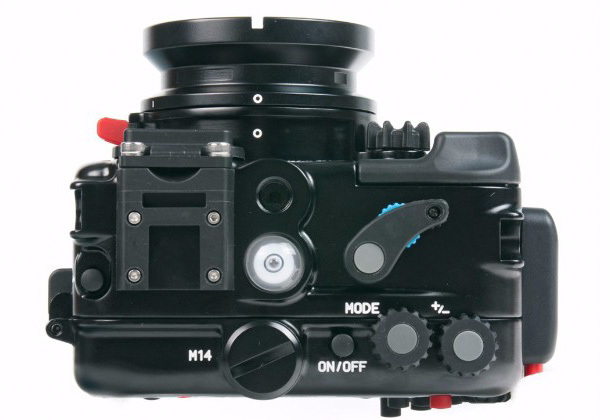 The right side of the housing is sculpted to fit the palm of the user's hand, and Nauticam's two-stage shutter release lever provides clear differentiation between the half press and full press shutter release positions. All functions are clearly labeled. Expert product design, modern manufacturing techniques, top quality materials backed by a two year warranty, and a critical focus on the user experience combine to produce the premier system for Canon Powershot G7X Mark II. 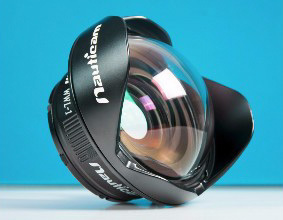 The Nauticam NA-G7XMKII. 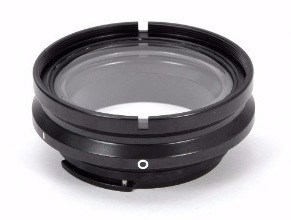 Supplied with the housing, this port allows full zoom through and features a 67mm threaded front for attaching accessory macro lenses (or even better, a flip adaptor!). 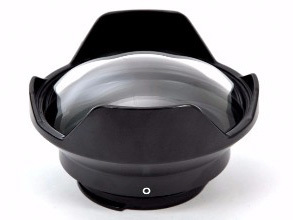 Ideal for mid-range fish portraiture style shooting, close-up, and macro with add on wet-lenses. 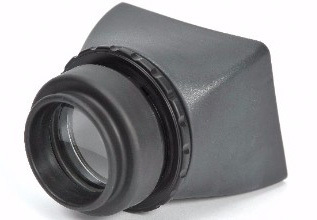 An optional accessory offering precise placement of wide lenses very close to the camera's lens at its native wide angle zoom position range. Zoom through is not available with this port, but it does offer the widest coverage possible with minimal vignetting for wide angle photography. An oversized rotary latch seals the housing, and securely locks in place without risk of accidental opening. No control functions need to be preset or aligned when installing the camera, it simply drops into the housing and is ready to use. 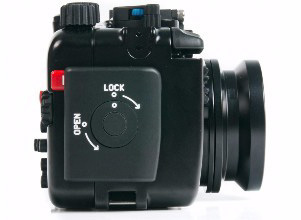 The Nauticam exclusive 2-stage shutter lever system provides outstanding feel of the half press and full press positions of the G7X Mark II shutter release button. Accessory mounting points, ideal for a focus light and other accessories. Stiffening handle brackets and an oversized "trigger" style shutter release lever are included with the housing as standard equipment. 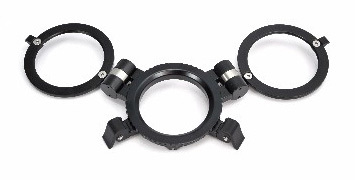 Combined with a Nauticam Flexitray or Flexitray W (optional), these brackets eliminate any flex or wobble when using big strobes, and provide multiple attachment points for lanyards and other accessories. The shutter release extension is ideal for use in cold water with thick gloves. 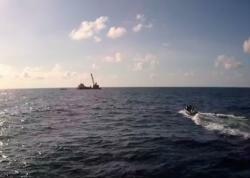 The Nauticam vacuum check and leak detection system is shipped with NA-G7XMKII as standard equipment. Combined with an accessory vacuum valve (PN 25624), this monitoring system provides constant updates on the water tight and safe-to-dive status of the housing. A simple color coded LED lighting system lets the user know that the vacuum is solid, or that the housing is losing vacuum. Leak detection is built into the same circuit, so if there is water intrusion, an audible and visual indication will occur. Fully optimized for in water use, WWL-1 provides the sharpest overall image quality available in a compact underwater imaging system. WWL-1 is designed to be used with the G7X Mark II camera zoomed to its 28mm focal length, and at that zoom setting offers a 130 deg diagonal field of view. Like WWL-1, both of the Compact Macro Converter lenses are matched to compact camera zoom lenses, and designed for use in water. 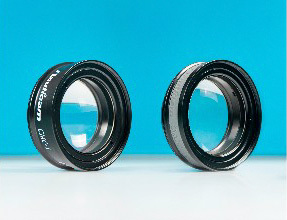 These are not simple diopters, they are purpose built macro tools that offer the best image quality and auto focus performance possible with very high magnifications. CMC-1 is capable of capturing an image area just 23mm wide on the G7X Mark II Camera! Both single (#25101) and double (#25108) flip adaptors allow accessory macro lenses to be mounted instantly without fumbling with a threaded attachment. 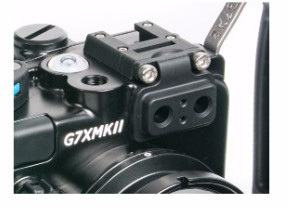 The G7X Mark II, combined with the premier macro optics from Nauticam, forms the ultimate compact closeup system! An invaluable accessory for far sighted users, this LCD magnifier allows the full 3" LCD screen to be clearly viewed for confirmation of fine focus and critical framing.